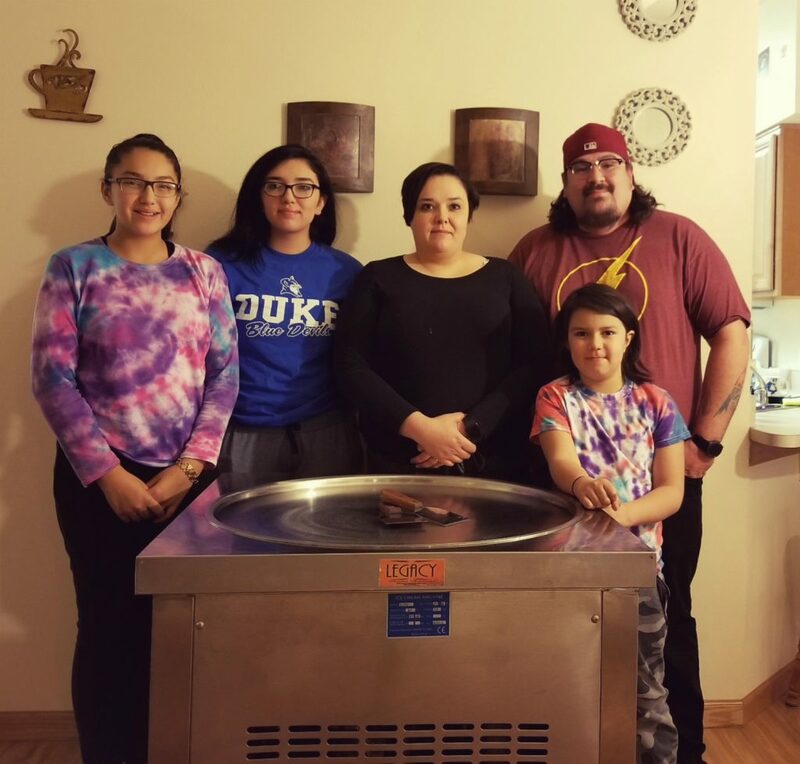 Founded last year by Lawrence “L-Jay” Pearman and his family on the Cheyenne River Indian Reservation in South Dakota, 6Hundred5 Below Ice Cream Rolls proves to be a trailblazer and benefactor for good health. Pearman and his wife Jonni were both raised on and are tribal members of the Cheyenne River Sioux Tribe in central South Dakota. The Pearman family are located in and operate 6Hundred5 Below out of Eagle Butte, SD, the tribal headquarters of the Cheyenne River Indian Reservation. The reactions by customers and fans are mainly positive. “Most of the customers are amazed at the process. 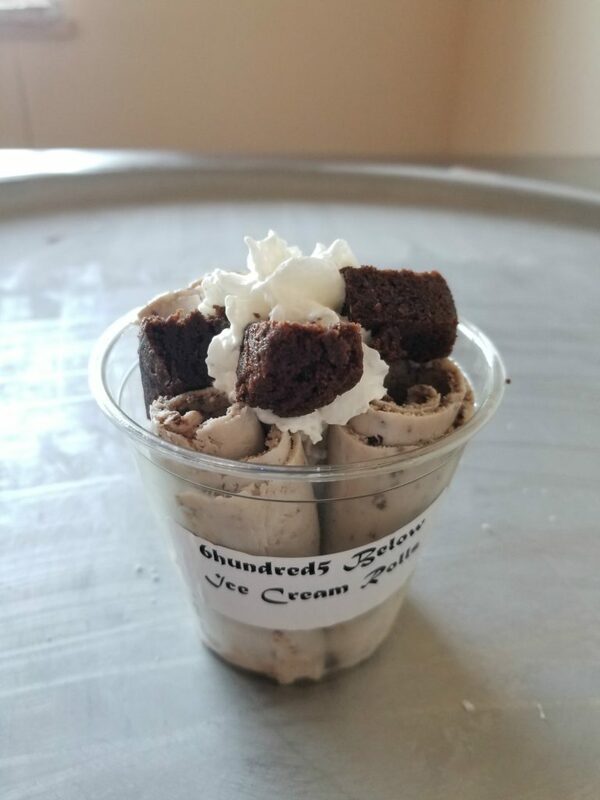 The process is so simple, and the product is delicious.” The family sells their ice cream rolls throughout the reservation at birthday parties and small get-togethers. Once, Pearman received offers to sell ice cream rolls in Rapid City, the second populous city of South Dakota and a 3 and a half hour drive away. The Pearman family create various popular flavors of ice cream rolls, including unique concoctions typically not found at other ice cream roll stands (such as wojapi). Pearman’s personal favorite is Very Berry Cherry, which consists of cherries, strawberries, raspberries, and bananas with a milk base. The Pearman family have one goal in their sight: to have a permanent location. “In one year we hope to be in our own permanent physical space,” explains Pearman. “We would like to continue to have sales at various places, but having a permanent place will be nice.” In five years, the family hopes their business will be going strong and will continue with their traveling. Although the Pearman family are still in the beginning stages of business ownership and entrepreneurism is still new to them, they’re excited to learn and grow. To keep up with the Pearman family and find out where they’re having their next ice cream roll sale, follow them on Facebook at 6hundred5 Below – Ice Cream Rolls.